Android fragmentation is one of the operating system's main problems, but HTC has launched a new page that aims to explain the process of getting a new update out to handsets. 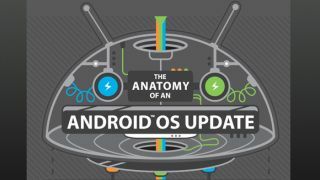 The site demystifies the Android update process by outlining the steps an OS update has to go through before it reaches various devices. It also shows the Android 4.4: KitKat upgrade status for various editions of the HTC One (some are up to date, while carrier versions are still waiting), as well as the latest software version for other HTC devices. Plus it features a lengthy and detailed infographic with the 12 steps an update takes between leaving Google and reaching your device. "HTC is focused on providing timely software updates for both HTC Sense innovation and major Google Android releases," the site reads. "In an effort to bring transparency to this process, we will be marking the steps of preparation and our progress, by device and carrier." It describes the numerous steps an Android update takes before reaching handsets, including evaluation, development, integration, certification, and push to customer. In addition the process is different for unlocked devices, carrier-specific devices, and Google Play editions. It begins with Google releasing the platform development kit to the phone maker (in this case HTC), which happens even before the new OS version is publicly announced. Plenty happens in between that and an update finally reaching users' phones and tablets. Head to HTC.com to check out the full infographic (click the icon after "to see a diagram of the full process" at the top of the page). Android 4.4 KitKat: when can I get it?